Based on the Ken Kesey book of the same name, One Flew Over the Cuckoo's Nest follows criminal Randle McMurphy (Jack Nicholson) who pleads insanity in order to escape jail time. 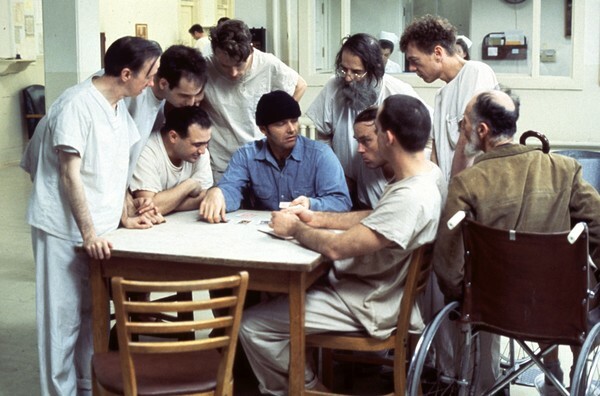 Sent to a mental institution, McMurphy leads the other patients in a rebellion against an oppressive nurse. It won five of its nine Academy Awards, including Jack Nicholson for Best Actor.